tiny disclaimer:  this isn’t really a blog post for the world at large, it’s more for my inner circle of people, who I hope do not take this as a personal offense or me lacking gratitude, because by golly that is 100% never my intention. In fact, I think I got into this specifically because I’m too intent on not offending to be able to protect my own interests in not being buried in stuff. So there’s that. Read on! Do you live in a small space, or move often, or even abroad? ***The Mister threw himself on this sword and took out all the bags. Amazing isn't a big enough word for this simple act of love. The name is Kp or KpMcD (Kristin, actually, but for the sake of continuity let's stick with the nickname, shall we?) 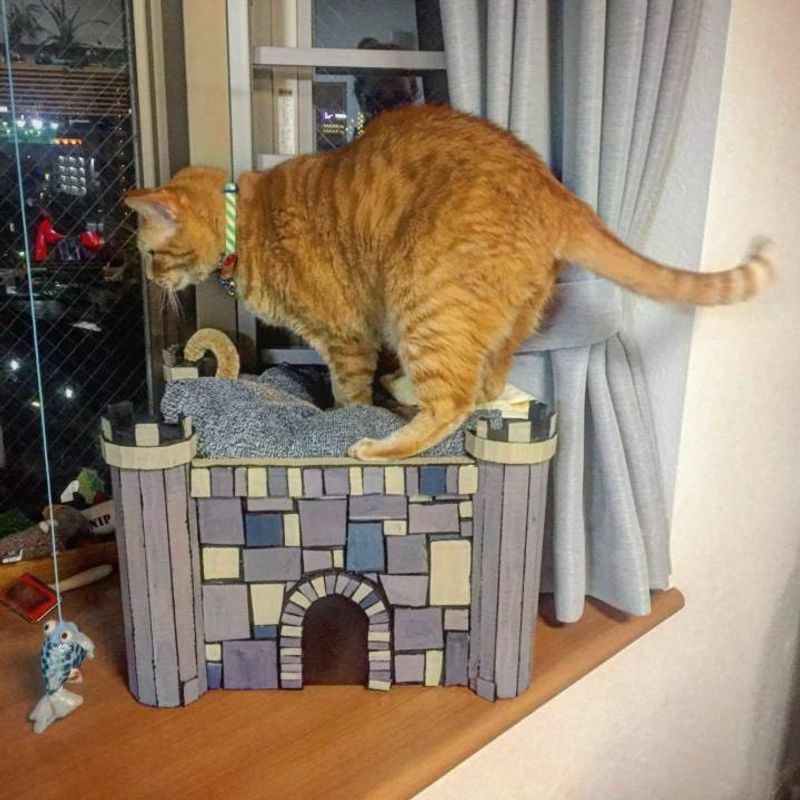 Hailing from the Midwest US and living in Nagoya with my husband (The Mister), my dobermutt (Mac) and an elitist marmalade tabby who answers to no one (Bubba). I found that Tokyo is less picky about separating trash that compared to the suburbs in Saitama, Chiba etc. One thing that annoys a little about where I live now (Chiba) is that the town insists you only use plastic bags with the town logo on them for putting out trash. So even if you have spare (and clear) plastic bags around, you can't use them, which sort of undermines the town's efforts to be 'green'. I guess money must be tight at the city office! On a side note, when I first arrived in Japan, I was quite surprised how in some towns trash bags are just dumped on street corners (for cats and birds to pick at). Back home we all sorts of fancy trash cans, and containers for this. 'Back home we all sorts of fancy trash cans, and containers for this.' ... for the trash I mean, not the cats and birds. @Tomuu I thought the special trash bags were to help cover trash pickup costs? Anyway before I lived in a small city where we could use any plastic bags (no shortage of those) which is convenient. 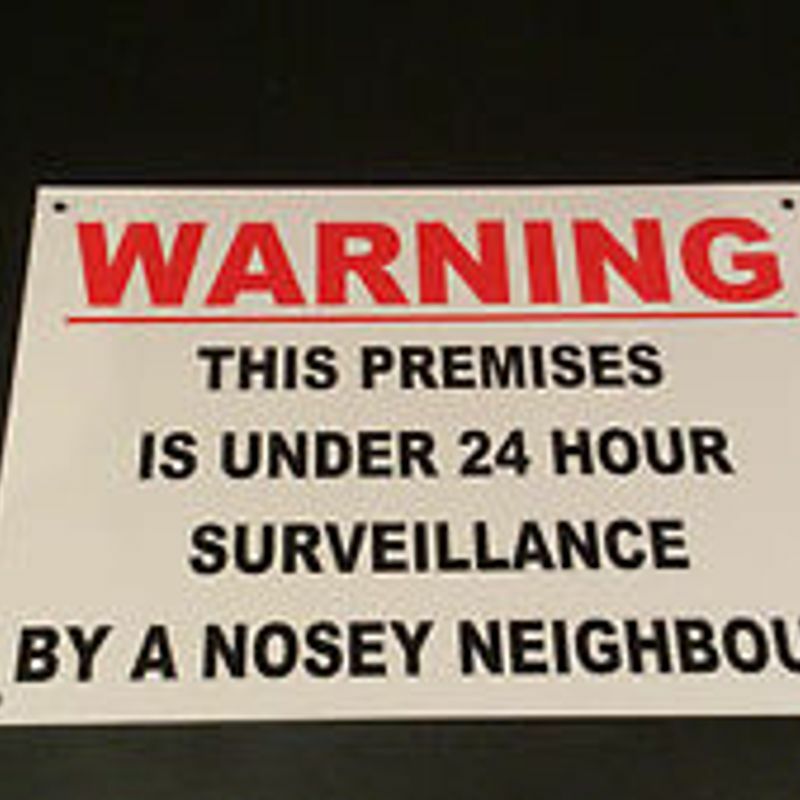 I think it depends on your neighborhood and some just have a trash corner with maybe a net to throw over, not that it keeps out birds and cats much. 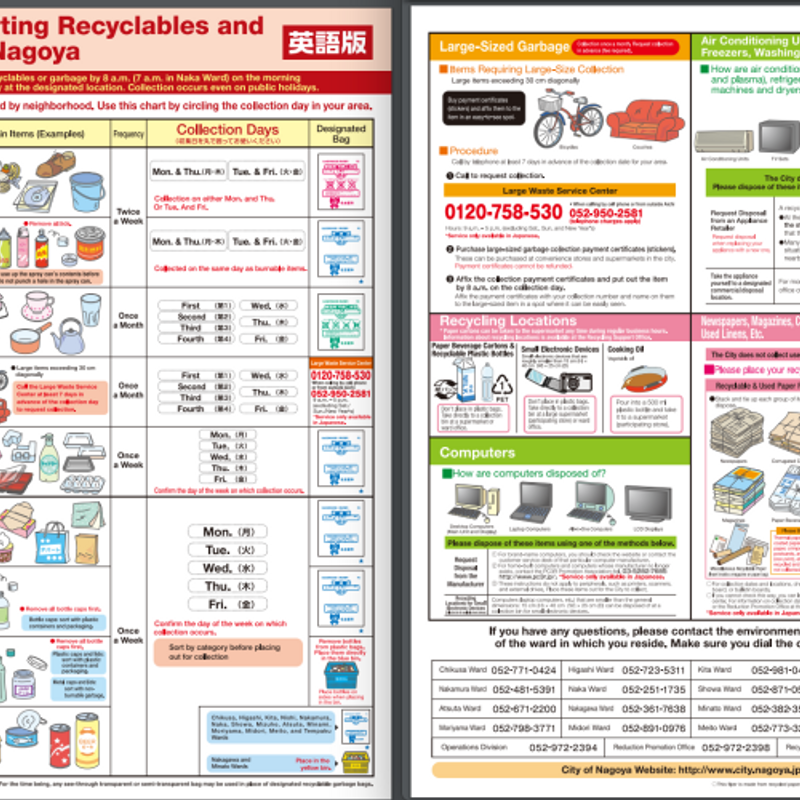 @tomuu, yeah, we have specific trash bags for each type of trash, and each WARD in Nagoya has their own set of bags. It's a bit loopy, but whatever. @helloalissa's theory of it being part of the trash service fee makes sense, sort of like when we paid for our special curb-side collection trash and recycling cans back home. (still a pain to keep track of tho!) We're lucky in that our apartment building has a totally fenced in trash area that each resident has a key to - but even just two buildings over the residents have nothing more than a flimsy net the place over their trash piles to "keep out the cats and crows" I don't know how they've rationalized this as a good system for so long when even in the time I've been here I've seen countless instances of the crows just moving the netting to get at the leftover soba noodles in a bag. They're smart cookies. That said, it's not like the raccoons in the states were deterred by the lid of a trash can, so maybe this is a pot calling the kettle black scenario in my instance, ha. @helloalissa Yeah, I used to live in a 'net' area but it was never big enough to cover the mountain of trash bags that built up. I've often wondered what happens in those kind of 'Mexican standoff' situations where someone puts a bag out, the disposal people refuse to take it and slap a sticker on it, and then it just sits there for day, until one day it's just gone! @KpQuePasa We have the gated and fenced area now. It actually has some kind of wiring in the top that makes it look like a prison guard tower. Quite why they feel they need to guard the trash thus, I'm not sure. Plus the gate isn't locked anyway. If someone does fancy a bag of trash, they can just open the gate and take it.